Happy Sunday to you! 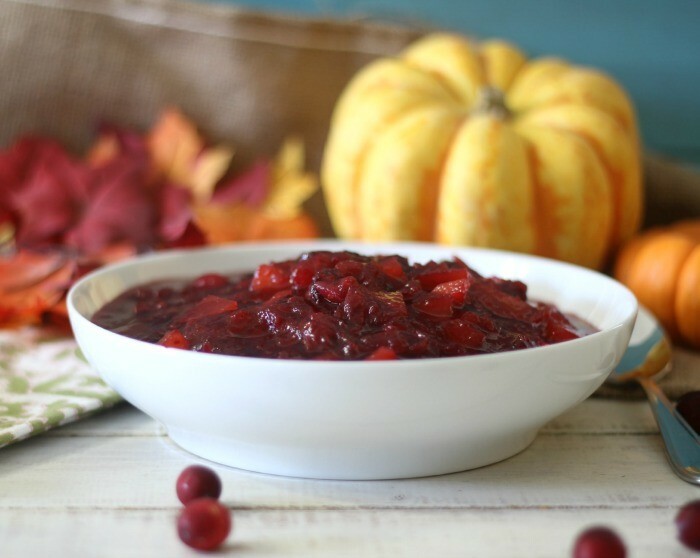 One of my favorite side dishes to have at Thanksgiving is cranberry sauce. 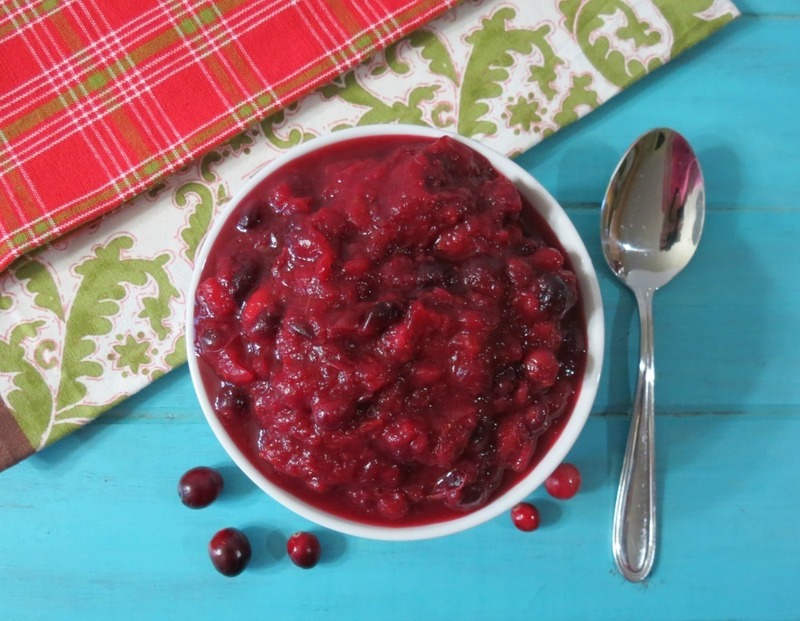 I personally think cranberry sauce gets a bad rap, don’t you? It’s one of those dishes that you must have, yet no one really seems to eat it. In my house my family only likes the cranberry sauce in the can. I don’t like that at all, I think it’s kind of gross. It reminds me of cat food. lol So every year I make homemade cranberry sauce just for me. I love it! It’s sweet, tart, pretty and so versatile and I think it goes great on top of turkey. 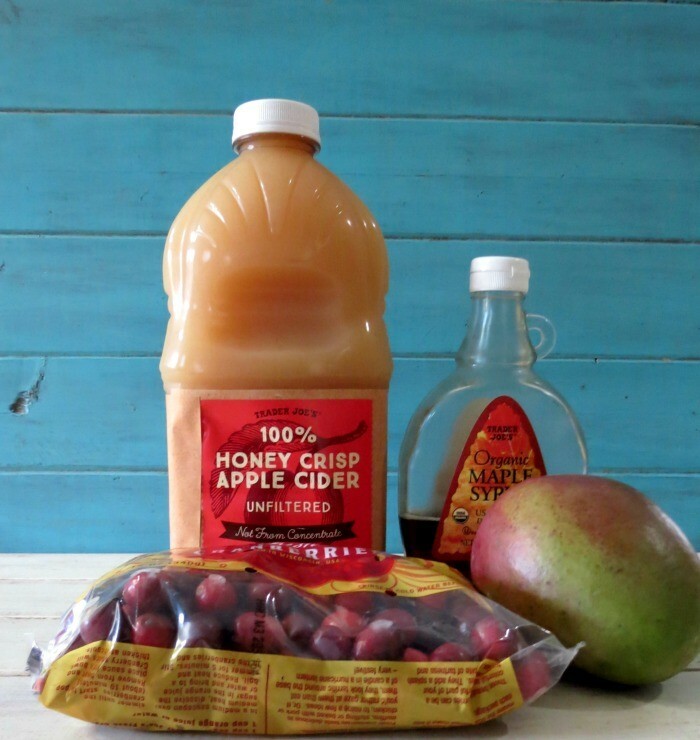 This year I thought I would change-up my traditional recipe and make Cranberry Mango Sauce. 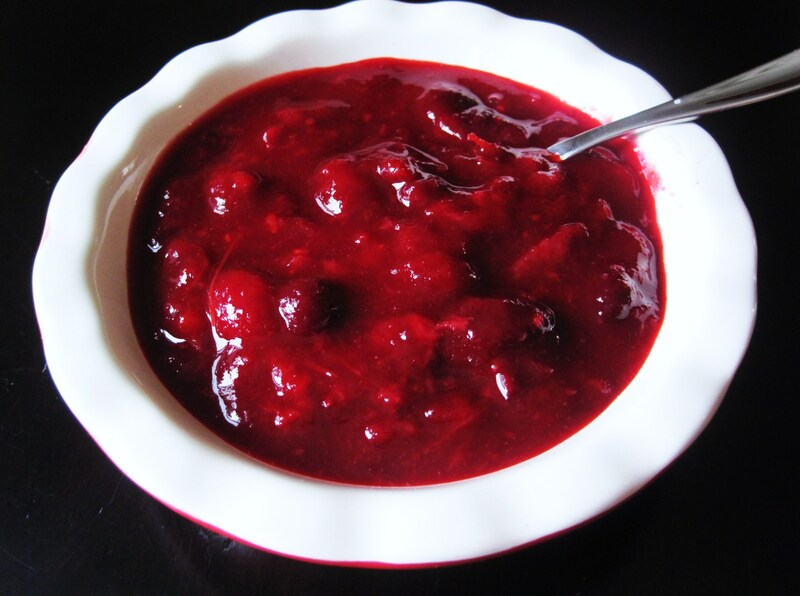 I have to admit this maybe one of my best cranberry sauces yet. Your first bite is sweet and then at the end you get a nice tart flavor. Plus, you get little bites of sweet mango. The sauce is super easy to make too! All I used was fresh cranberries, mango, apple juice and maple syrup. I wanted to make it as natural as I could. Matter in fact I bought all of my ingredients at Trader Joe’s. To make it, all you do is add all of your ingredients in a large pot, and bring it to a boil. Let it simmer until the cranberries pop and the mango is softened. Let it cool to room temperature and refrigerate until ready to serve. I was a little concerned that it would be to liquidy, but once it cooled it really thickened up. You can also make this sauce a couple of days a head of time. The whole thing takes about 20 minutes to make. 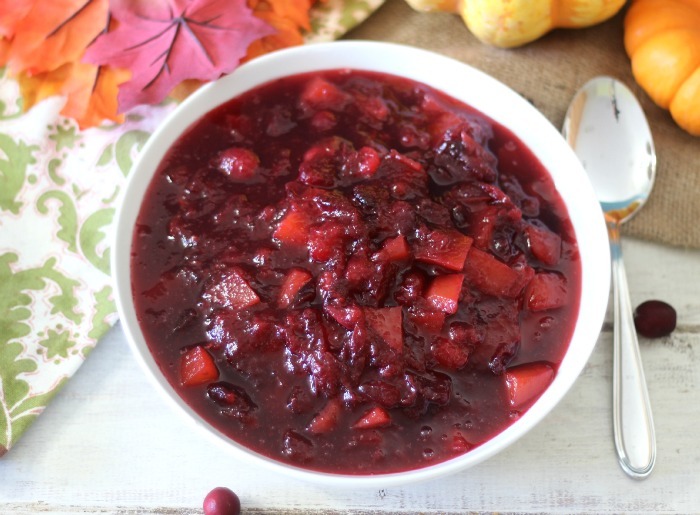 A sweet and tangy cranberry sauce chock full of mangoes and sweetened with maple syrup. In a large sauce pan add all of the ingredients. Bring to a boil, lower the heat and simmer for 10 - 12 minutes, until the cranberries pop and mangoes are soft..
Let the sauce cool to room temperature and store in the refrigerator until ready to serve. Let the sauce cool to room temperature, it will thicken up. Can be made up to 3 days in advance. I love my cranberry sauces! Here are a few recipes that I made in the past. 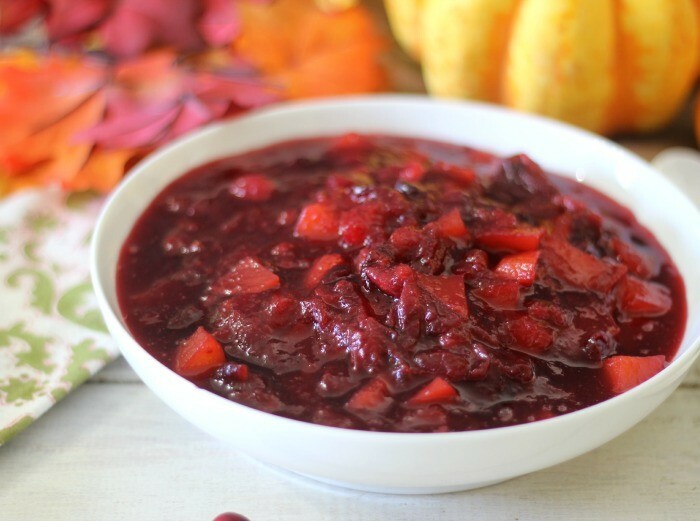 Do you like Cranberry Sauce? 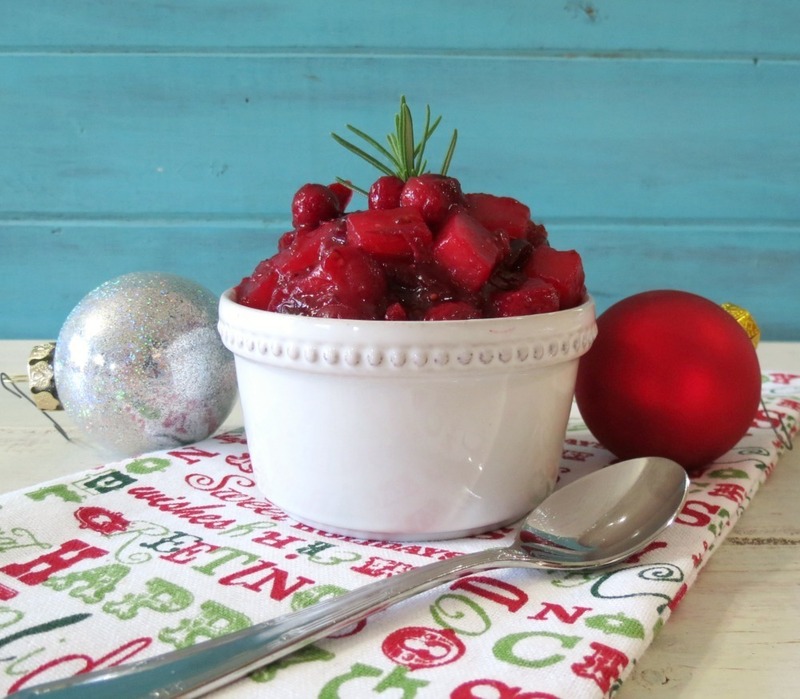 Do you have a special Cranberry Sauce Recipe? This looks awesome! Could you use frozen mango? Hi Jenna, Yes I think frozen mango would also work in this recipe. If you try it, let me know how it turns out for you. Oh my gosh! This looks delicious!! I am so trying this!!! Thank you! Yum! 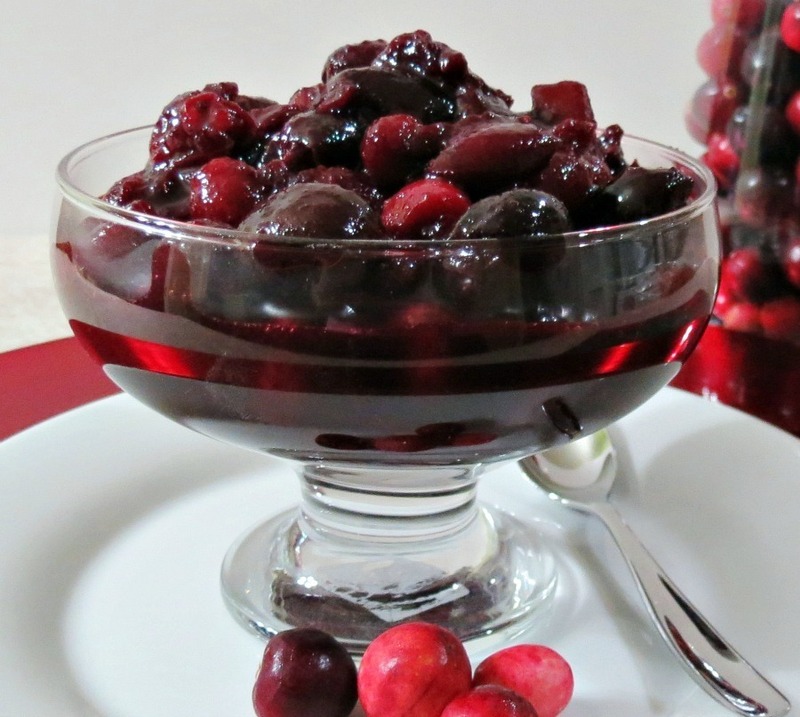 I love trying different juices and fruits mixed into my cranberry sauce. Great combo here. Thank you so much Erin! By the way your breakfast pizza you posted today looks out of this world! 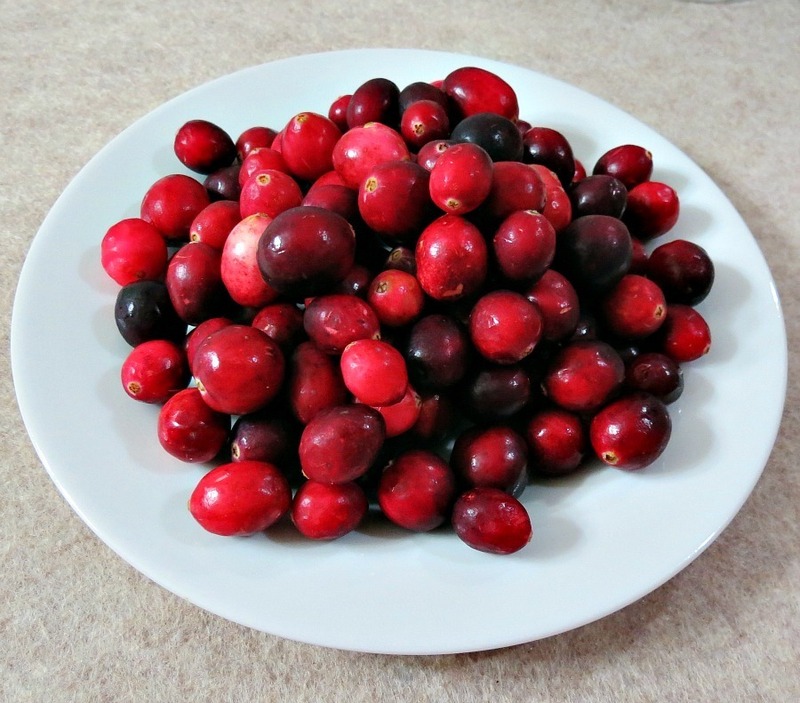 I love cranberry sauce and it has to be homemade. None of that canned stuff! Love the mango in this one! Thank you so much Stephanie. I’m with you homemade is way better than canned stuff, blah!